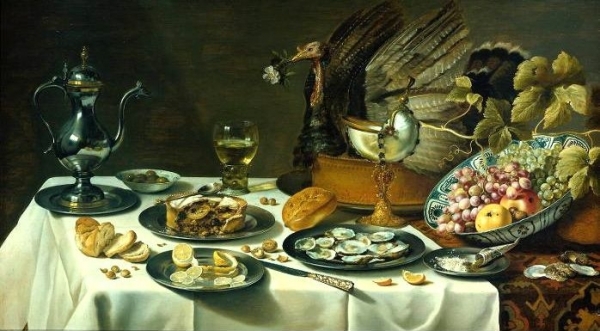 Pieter Claesz's 'Still Life with Peacock Pie,' 1627. The National Gallery of Art was established in 1937 for the people of the United States by a joint resolution of the U.S. Congress. Financier and art collector, Andrew W. Mellon, donated a portion of his sizeable art collection to the museum, forming its core holdings. The National Gallery of Art’s collection of paintings, drawings, prints, photographs, sculptures and decorative arts spans from the Middle Ages to the present and includes the only painting by Leonardo da Vinci in the Americas as well as the largest mobile ever created by Alexander Calder.